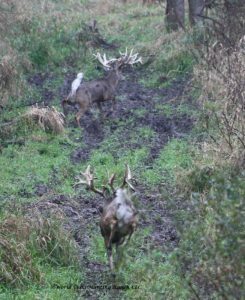 Matt and Paul arrived from Texas and Oklahoma on Thursday, the deer were moving, as the Rut is in full swing. 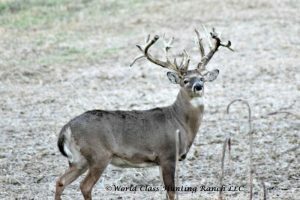 They seen lots of the 30 plus bucks on the ranch. 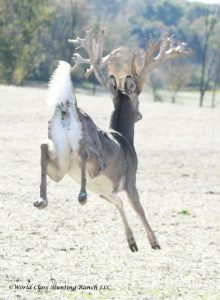 But when this buck showed up, Paul was ready, and made a great shot on him! Matt had planned this trip for his Dad and they had a grand time! 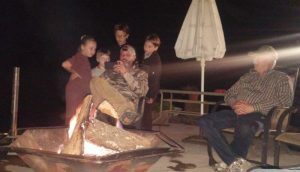 We thoroughly enjoyed the evening around the fire with Matt and Paul. Thanks Matt, see you in December! If you are looking for non-typical trophies, then look no further. 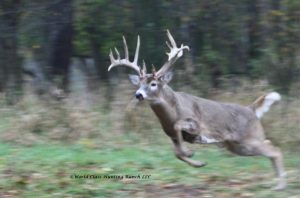 We have a few late November spots available, as well as December and January! 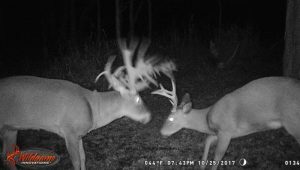 Ohio is known for big deer! 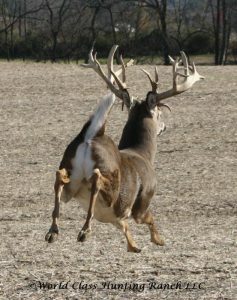 And trust me, when you see the deer on our preserve, you will have no choice but to get excited! 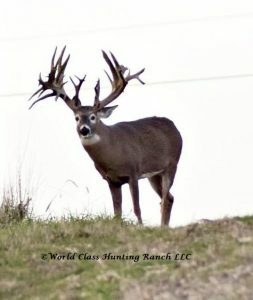 We currently have over 35 bucks on the ranch! Individual and Corporate packages available! 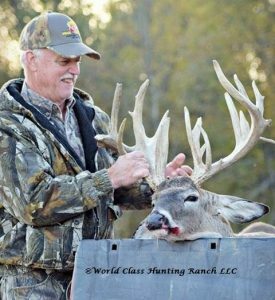 Thanks a million for a great experience for my Brother Brian and I…The lodging was fantastic and the hunt and time together was just what we both needed after our Father’s passing…the decompression was dearly needed. Larry from Alabama takes this beautiful non typical trophy on Monday! 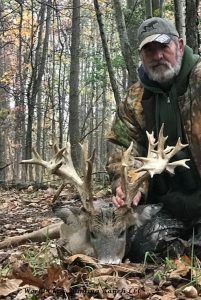 Congratulations on a fine buck. Larry and his wife arrived in the area on Saturday and did a lot of shopping, and rested up from the drive in. So, Monday morning they were ready to head to the stand. 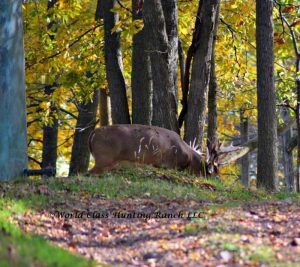 It was a dreary, rainy morning, and the deer were a little sluggish. Patience paid off, and late afternoon along comes this buck, and Paul couldn’t resist! 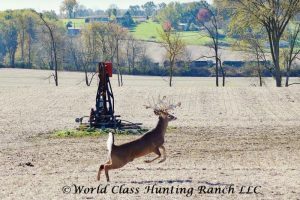 Great shot Paul and Congratulations on a nice buck! We look forward to seeing you back next year! Patience paid off, and late afternoon along comes this buck, and Paul couldn’t resist! 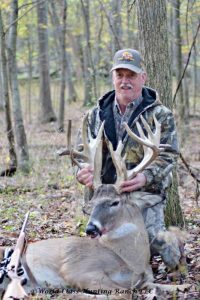 Great shot Paul and Congratulations on a nice buck! We look forward to seeing you back next year! 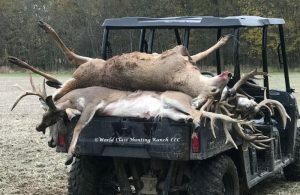 The West Virginia Boys just took some nice bucks yesterday! Stay Tuned for their story!